Who could have imagined? Pot arrests drop dramatically in Colorado, CBD cannabis oil bills move in Georgia and Idaho, Kentucky heroin bills are stalled, a leading Moroccan political figure calls for cannabis amnesty, and more. New Report Shows Massive Decrease in Colorado Marijuana Arrests . A new report  from the Drug Policy Alliance finds that marijuana possession arrests have declined by more than 90%, cultivation arrests have dropped 96%, and distribution arrests are down 99% since the state approved legalization in 2012. But blacks continue to get charged with marijuana offenses at a rate 2.4 times that of whites, a figure unchanged from pre-legalization days. Georgia Senate Passes CBD Cannabis Oil Bill . The state Senate Tuesday approved House Bill 1 , which would allow the use of the oil for eight specified medical conditions. The bill has already passed the House, but because it was amended in the Senate, it has to go back for a final House vote. That was expected to happen today. Idaho Senate Approves CBD Cannabis Oil Bill . The state Senate voted 22-12 Tuesday to approve Senate Bill 1146 , which would allow the use of the oil for children with severe forms of epilepsy. The bill had originally only offered an affirmative defense to prosecution, but was amended in the Senate to go further. The bill now heads to the House. Kentucky Heroin Bills Stalled as Legislators Squabble . Legislators are scrambling to salvage legislation to address heroin and opiate use after a compromise effort apparently fell apart over the weekend. The deal had included funding for treatment, a 911 Good Samaritan clause, expanded use of the overdose reversal drug naloxone, and tougher penalties for heroin dealers. But now, it looks like either a watered-down compromise will pass, or nothing at all -- for the second straight year. Arizona Congressional Delegation Files Bills Targeting Cartel Lookouts . Arizona Republican federal legislators have authored a pair of bills that would increase penalties for people acting as lookouts for drug smugglers crossing the US-Mexico border. The bills would impose a maximum prison sentence of 10 years for "unlawfully hindering immigration and border control." Rep. Martha McSally (R-AZ) introduced HR 1588  in the House, while Sen. John McCain (R-AZ) filed the companion bill, S 847 , in the Senate. Leading Moroccan Political Figure Again Calls for Amnesty for Marijuana Growers . The secretary general of one the country's major opposition parties, the Istiqlal Party, has called again for amnesty for pot growers. 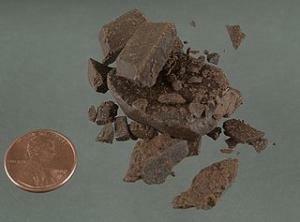 Morocco is a leading world producer of hash, much of which is destined for European markets. Hamid Chabat said nearly 80,000 growers are out on bail while "corrupt and money launderers enjoy amnesty." He also called for legalization of marijuana for medical purposes, saying it could be exported as well as used for "the health of the people."